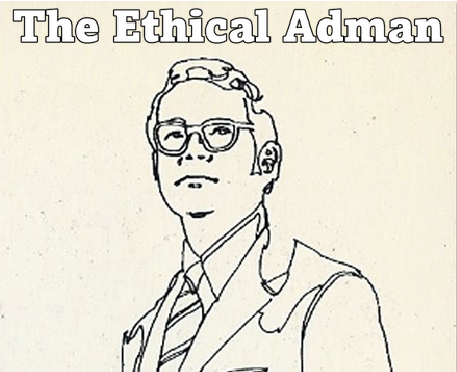 The Ethical Adman: Is American Apparel's most explicit thing yet... feminist art? Is American Apparel's most explicit thing yet... feminist art? 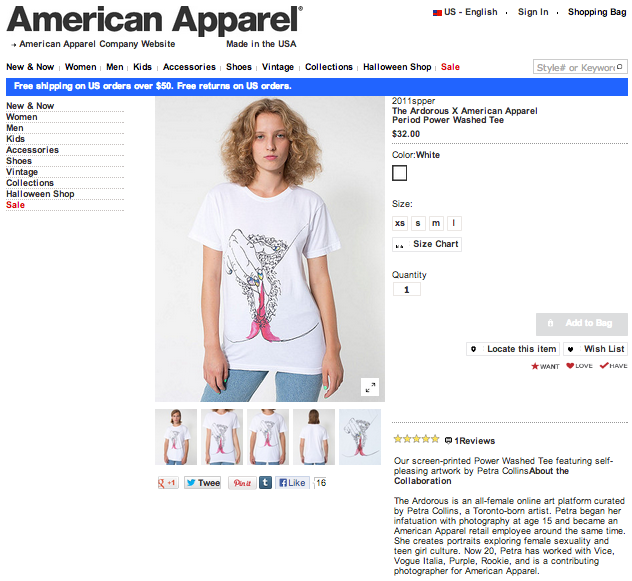 "The Ardorous X American Apparel Period Power Washed Tee" features an explicit illustration of a woman masturbating while menstruating. The Ardorous is an all-female online art platform curated by Petra Collins, a Toronto-born artist. Petra began her infatuation with photography at age 15 and became an American Apparel retail employee around the same time. She creates portraits exploring female sexuality and teen girl culture. Now 20, Petra has worked with Vice, Vogue Italia, Purple, Rookie, and is a contributing photographer for American Apparel. Compared to American Apparel's sleazily objectifying ads, however, this one seems to have an authentically feminist purpose — at least to the woman who drew it. That's actually pretty cool. It's not the first time AA has done something constructive in their marketing assault on "decency". So, while I won't be wearing this unisex V-shirt to work anytime soon, I have to give them points for art. Even if they do stand to make a few bucks from it. UPDATE: The shirt is no longer available at the AA e-store.